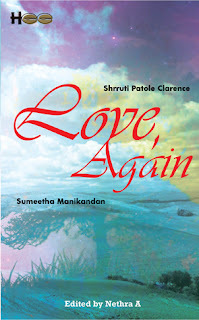 And Love, Again a double header romance Novel publish date 25th May 2015, with her story A Tulip in the Desert will soon be seen on the stands! Her lyrics feature in the theme song of group Young Indians – an off shoot of CII (Confederation of Indian Industries). Her poems feature in Zest of Inklings and a Hindi poem in an e-book – Ehsaas, judged by eminent Urdu and Hindi screenwriter, dialogue writer and playwright - Javed Siddiqui. 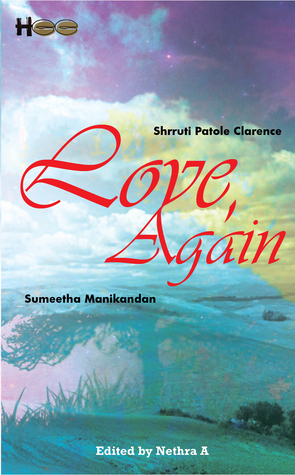 Shrruti is a warm and friendly person who loves music and watching sports when she is not writing. Bringing health to your doorstep. These days many foods are touted either as organic or as super food. The market is full of such 'health fads' and we all fall for these gimmicks. In keeping with our hectic lifestyles, understanding how nutrition is the key to our health is the need of the hour. You don't need exotic fruits and vegetables to get fit. What you need is altering your eating habits with simple food alternatives that have we probably savored in our childhood. NutriSattva was born of one such desire to go back to our roots. 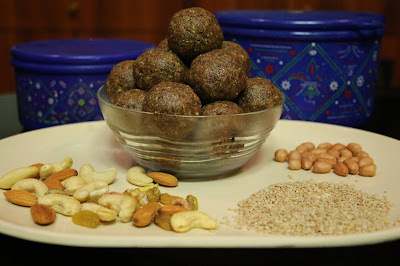 We bring you a range of healthy laddus which are a balance of complex carbs and proteins not to forget the micro nutrients they are fortified with. Made without sugar or jaggery, these laddus are a boon to the diabetics. They also help as a great pre-workout and post-workout snack supplementing you with the required energy for the fitness enthusiasts.